We participate in community events to introduce people to the great sport of dragon boating. We also travel to festivals near and far to race against other clubs. 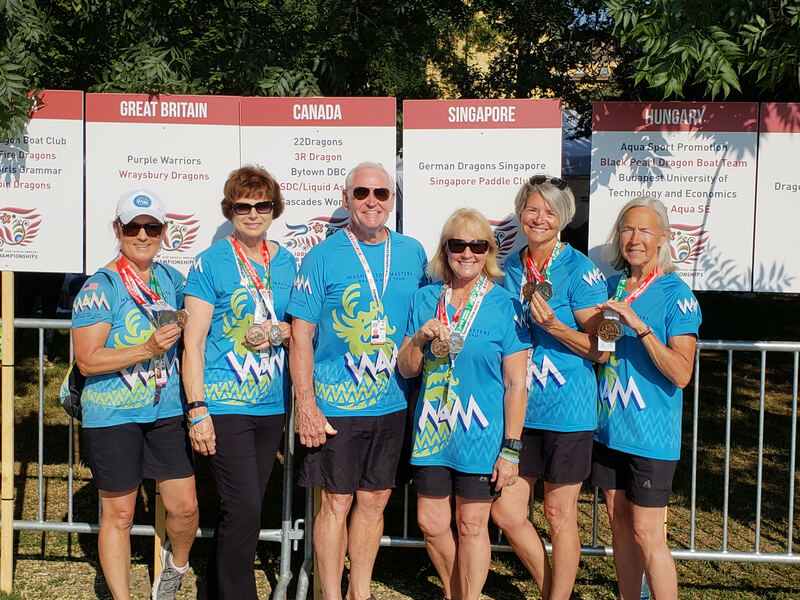 Congratulations to our Tacoma Dragon Boat Association paddlers competing with Washington Masters (WAM) in the 11th International Dragon Boat Federation (IDBF) Club Crew World Championships Szeged, Hungary — and winning big! We are so proud of you! In addition to holding the Rainier Dragon Boat Festival, we also compete in dragon boat races in the Pacific Northwest and other locations. In past years we have competed in races in Olympia, Salem, Kent, Portland, Victoria and Vancouver. Some members joined other dragon boat clubs and competed in Puerto Rico and Florida. In 2016, we raced in Fuzhou, China. 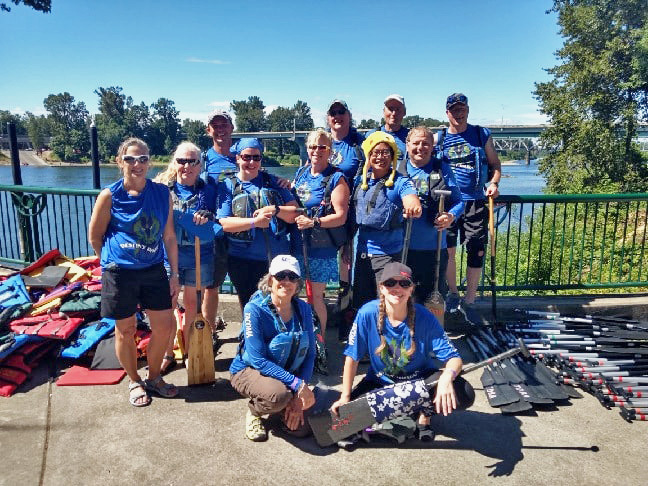 Third place in the 2018 Kent Dragon Boat Races! Fun! Destiny Dragons won silver in the 10-person boat races in Salem. 2018 Team. What an incredible honor to paddle a dragon boat with Port of Tacoma officials and Tacoma leaders during the Puyallup Tribe of Indians Power Paddle to Puyallup! On Landing Day (July 28, 2018), TDBA was the final boat to ask permission to come ashore and the only non-canoe. We could see some Canoe Families paddling and enjoyed every moment of this historic event! Thank you to the Tribe, Port, City and all involved in allowing us to participate! A moment to remember! Thank you to Anne W., Bengie S., and Julietta D. for the awesome pictures! Thank you to everyone who stopped by our booth at Tacoma Ocean Fest and paddled a dragon boat! We appreciate your learning about this cool sport and hope to see you again on the water! If you didn’t attend the festival but would like to try out dragon boating, join us for a practice! We practice on the Foss Waterway four times a week, and provide the vests, paddles and dragon boats. Your first 3 practices are free! 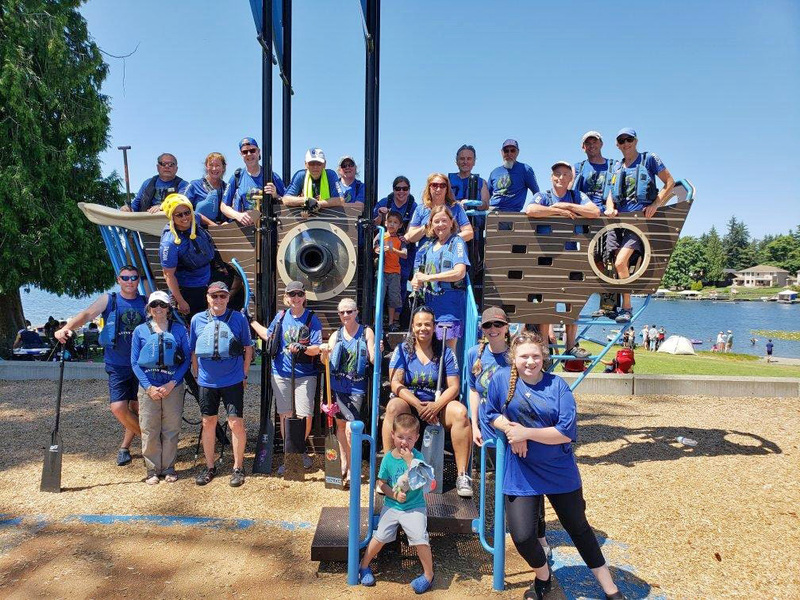 In 2016, we paddled to the Tacoma Moon Festival at Chinese Reconciliation Park and took festival goers on the water to paddle a dragon boat – very fun!